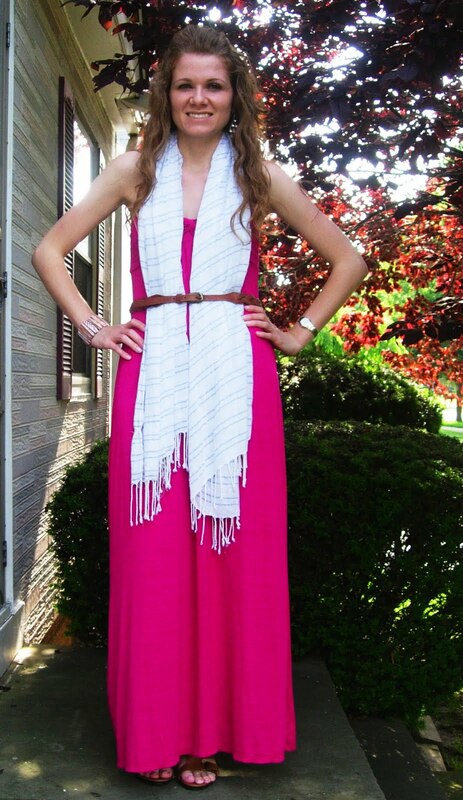 I wanted to try reworking the way I wear my maxi dress. Here is the first look, which is more appropriate for work. This outfit is from the weekend. We went out to celebrate a friend’s birthday, and I felt both stylish and relaxed for the bar that we were at. It featured a live band in one room and club/dance music in the outdoor area. 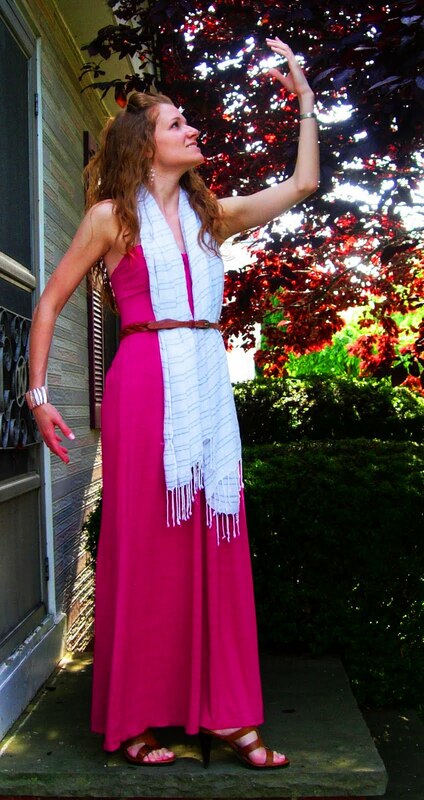 I got the idea to wear my scarf like this from Refinery 29’s 4 new ways to wear a scarf. I really liked the way it looked, and I realized that the long dress with the sandals kind of made it into a Grecian goddess look, hence the silly pose. Also, some very exciting news, thanks to my sister who gave me a gift card to the mall for being one of her maids of honor, I was able to purchase the perfect pair of brown sandals for the summer. I am more than in love. The leather is so soft that they don’t hurt my feet even though they are 4 inch heels, something I never feel comfortable in. I believe they are still available here on the Nine West site. Thanks Maria! I absolutely love how you styled this dress. Fabulous!